Virtually free of smoke and odor when we entertain others, and when the unit is run afterwards the air is sparkling in a short amount of time. Summary: A family, that likes to entertain and have friends over to their home, recently contacted us for help. Whenever they had friends and family over, the garage / man cave was also the designated smoking area. This was causing smoke residue on the ceilings and a smokey odor in the air. Challenge: They wanted a quiet and cost-efficient solution to help remove the odors and particulate from the air. Since it was being installed in the garage / man cave they also needed a solution that didn't take up a lot of space. 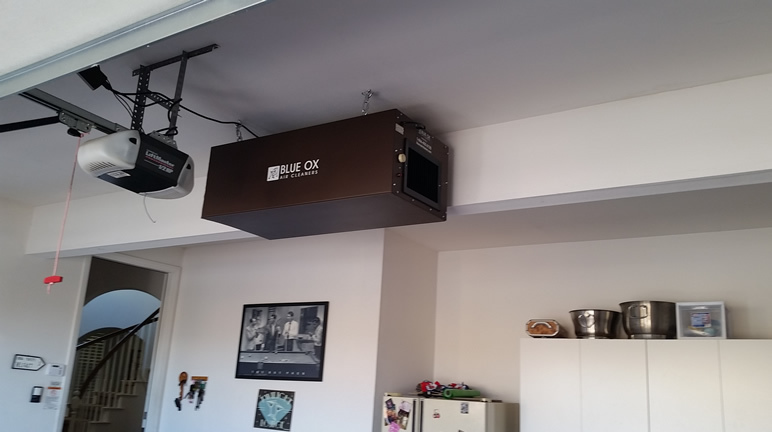 Solution: We installed one OX 1100 Unit in the center of the back wall of the garage. The one unit is powerful enough to remove the odor from the air and greatly improve the overall air quality. 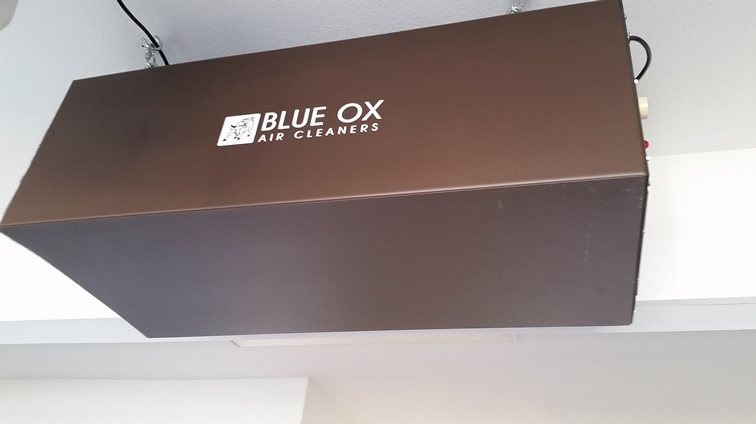 Blue Ox Air Cleaners. A division of Air Cleaning Specialists, Inc. Your request has been sent successfully. We will contact you as soon as we can.